People who prioritise safety considerations when buying a car may be concerned by the comments of one automotive company. According to Schrader Electronics, protective features due to be introduced in all new autos across Europe in the coming years may prove to be a flop. From 2012, cars coming off the production line will have to be equipped with tyre monitoring systems - designed to alert the person behind the wheel to potential problems. However, the success of this technology will depend on the form of device manufacturers choose to opt for, Schrader Electronics claimed. It explained there are two types - direct and indirect. 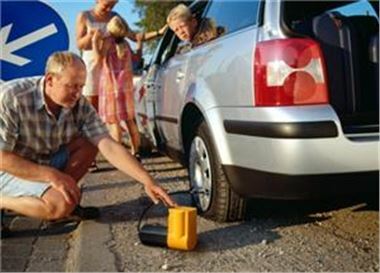 The group warned the latter system may be ineffective due to the length of time it takes to advise motorists of faults. It stated: "The delay in providing this information to the driver is considerable, opening up the possibility of a rapidly deflating tyre not being detected and the possibility of an accident." In other motoring news, the Highways Agency has claimed too many motorists are allowing their cars to run out of fuel.